From Monday 30th of April until midnight on Friday 8th of June the Northampton Square Library will be open 24/7 for you to study around-the-clock. Library staff will be on hand during normal working hours before handing over to our Security colleagues who’ll keep an eye on things until morning: but don’t worry, if you suddenly think of a question overnight we have a host of Library Guides plus our Ask us section available via the website to help support you. 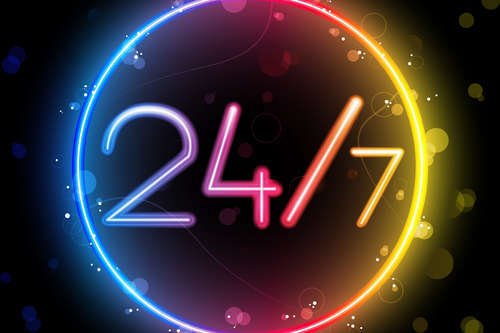 During 24/7 opening we expect Library users to treat staff, other students and university property with respect, to adhere to the Library Services Code of Conduct and to use 24/7 opening responsibly. As we are situated in a residential area, Library users are expected to treat our neighbours with consideration by leaving the premises quickly, quietly and without causing disturbance. Please also remember to take plenty of breaks when studying and to keep safe when travelling home from the library late at night.